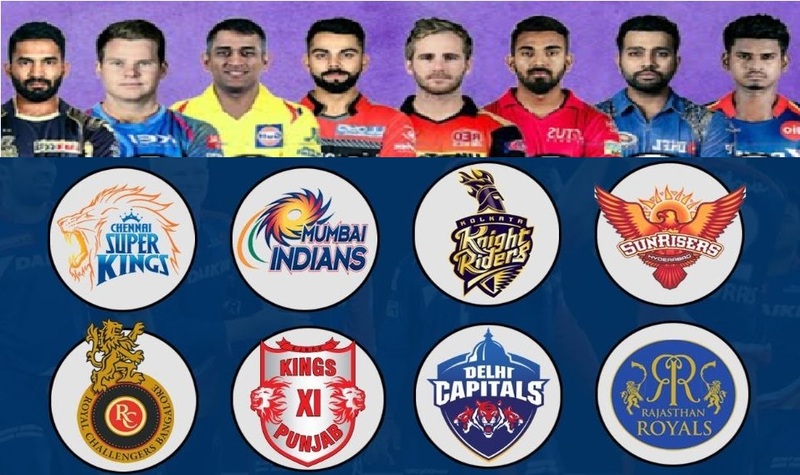 IPL 2019 Full Squad: All the matches of first two weeks of IPL 2019 season 12 have been released by BCCI. All the teams will play a minimum of four games in the two weeks phase, with DC and RCB competing in five matches each during this time. BCCI also mentioned double headers for the two weekends. there have been confirmation about the continuing with the usual 4PM and 8PM format or there will be a changes in timing. Shreyas Iyer, Rishabh Pant, Prithvi Shaw, Amit Mishra, Avesh Khan, Harshal Patel, Rahul Tewatia, Jayant Yadav, Manjot Kalra, Colin Munro, Chris Morris, Kagiso Rabada, Sandeep Lamichhane, Trent Boult, Hanuma Vihari, Axar Patel, Ishant Sharma, Ankush Bains, Nathu Singh, Bandaru Ayyppa, Jalaj Saxena, Keemo Paul, Herfane Rutherford, Colin Ingram. KL Rahul, Chris Gayle, Andrew Tye, Mayank Agarwal, Ankit Rajpoot, Mujeeb Ur Rahman, Karun Nair, David Miller and Ravichandran Ashwin, Murugan Ashwin, Harpreet Brar, Agnivesh Ayachi, Prabhsimran Singh, Darshan Nalkande, Arshdeep Singh, Hardus Viljoen, Sarfaraz Khan, Mohammad Shami, Sam Curran, Varun Chakaravarthy, Nicholas Pooran, Moises Henriques. Dinesh Karthik (C), Robin Uthappa, Chris Lynn, Andre Russell, Sunil Narine, Shubman Gill, Piyush Chawla, Kuldeep Yadav, Prasidh Krishna, Shivam Mavi, Nitish Rana, Rinku Singh, Kamlesh Nagarkoti, Carlos Brathwaite, Lockie Ferguson, Anrich Nortje, ikhil Naik, Harry Gurney, Yarra Prithviraj, Joe Denly, Shrikant Mundhe. Virat Kohli (C), AB de Villiers, Parthiv Patel, Yuzvendra Chahal, Tim Southee, Umesh Yadav, Navdeep Saini, Kulwant Khejroliya, Washington Sundar, Pawan Negi, Nathan Coulter-Nile, Moeen Ali, Mohammed Siraj, Colin de Grandhomme, himron Hetmyer, Devdutt Padikkal, Shivam Dube, Heinrich Klassen, Gurkeerat Singh, Himmat Singh, Prayas Ray Barman. Rohit Sharma (C), Hardik Pandya, Jasprit Bumrah, Krunal Pandya, Ishan Kishan, Suryakumar Yadav, Mayank Markande, Rahul Chahar, Anukul Roy, Siddhesh Lad, Aditya Tare, Quinton de Kock, Evin Lewis, Kieron Pollard, Ben Cutting, Mitchell McClenaghan, Adam Milne, Jason Behrendorff, Lasith Malinga, Anmolpreet Singh, Barinder Sran, Pankaj Jaiswal, Rasikh Salam, Yuvraj Singh.